L relapses overnight, this sleeping lark really isn’t good for you, so I walk the boys again. I think they are enjoying these different mornings. Then I cycle into work. My legs ache from last night’s track session, mainly I think from trying to slow the bike down too quickly. L has booked physio for today, I hope they’re gentle with her. Daughter announces that she wants to drop out of Manchester 10K and do I want her number. Not really as it will have her first name emblazoned across it in big letters and probably in pink. Bit of a giveaway. 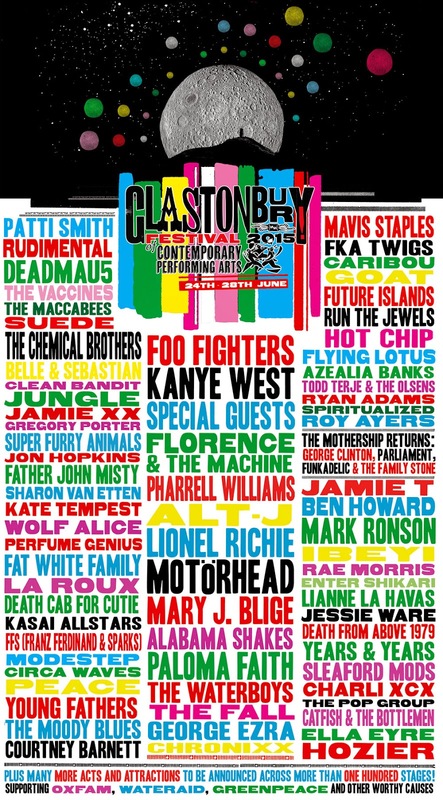 Glastonbury announce a batch of bands for the festival. Apparently Jamie T, Enter Shikari and The Chemical Brothers all feature on L’s workout tape. Remind me never to borrow that. She says she’d be interested to hear mine... I’m not so sure she would. The physio says she has a pelvis problem and not back problem. When it stops hurting her to get out of bed she’s allowed to cycle, when that doesn't hurt she’s allowed to swim and when that doesn't hurt she’s allowed to run. So she has to do the evil cycling before she can swim... I suppress a chuckle.